Category for Memorials for club members past. 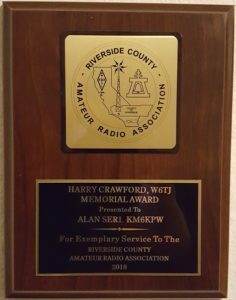 Riverside County Amateur Radio Association members. 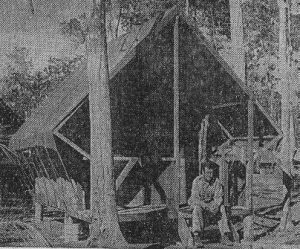 Our club station call was the call of a former member of RCARA, Harry H. Crawford, W6TJ. Crawford died on June 16, 1959, and the club acquired his call around 1960. 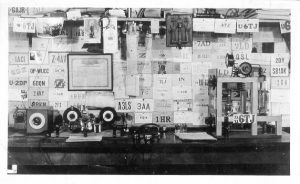 Shortly after graduating from Glendale High School in 1923, Harry went to work as a linotype operator for the Riverside Daily Press, the ancestor of the present Press-Enterprise. He continued to work for the Press, except for periods of military service, for the next 32 years, until shortly before his death. W6TJ was a real old-timer, and had a considerable reputation as a DX man. 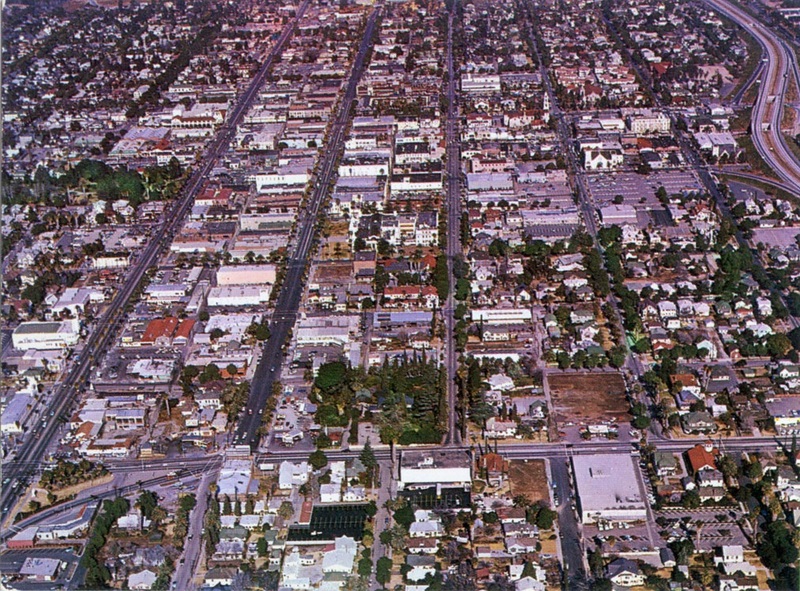 He was originally licensed at age 14 in 1918 as “6TJ” (with no prefix) in Glendale, CA. (New and renewed U.S. calls were issued with prefixes for the first time in 1928.) 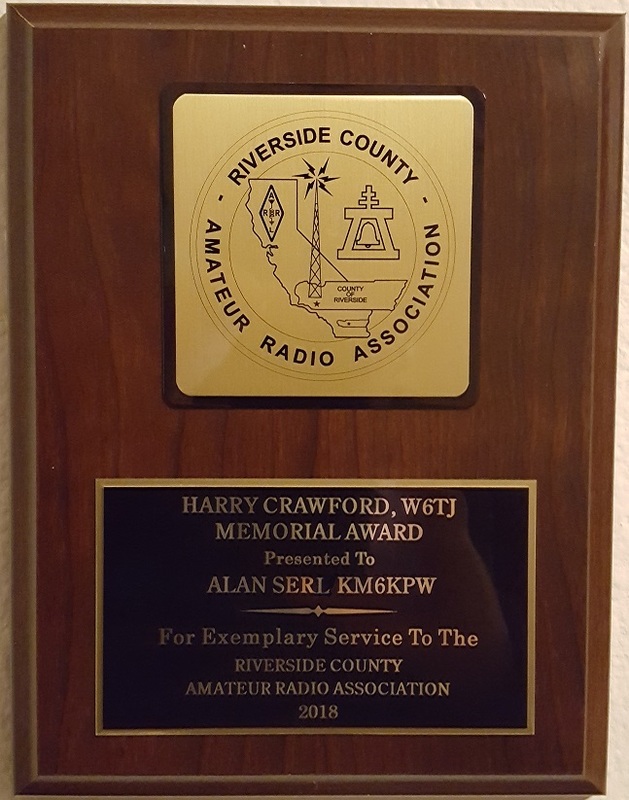 ARRL originated the DX Century Club award in October, 1937. 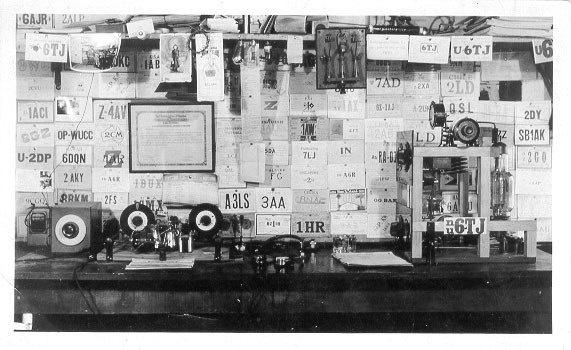 Early in 1939, W6TJ became the 114th station in the world to be issued the DXCC award. 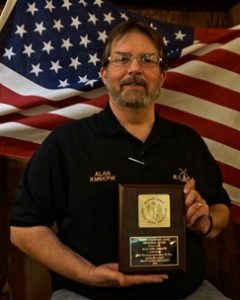 He was also the 11th station in the 6th call area to earn DXCC, at a time when the 6th district included Arizona, Nevada and Utah, in addition to California. Famed DXer Don Wallace, W6AM, had only 77 countries confirmed when W6TJ made DXCC. The accompanying photo (courtesy of Dave Leaven, WI6J) shows the W6TJ shack around 1927. The transmitter, the wood-frame job on the right, appears to be using a 204-A tube, good for about half a kilowatt output on CW. (The power supply was probably under the operating bench.) The two-dial breadboard affair on the left is evidently the receiver. All home-built, of course.